Keep your ceremony set-up simple and sophisticated. 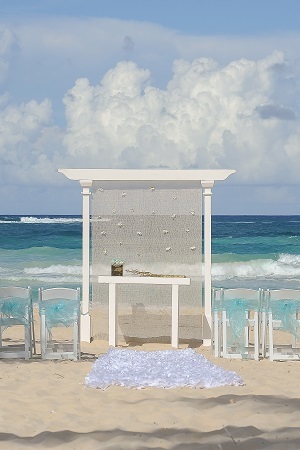 With a white crystal backdrop and white club chairs, the only thing popping in the photos will be you and the love of your life! 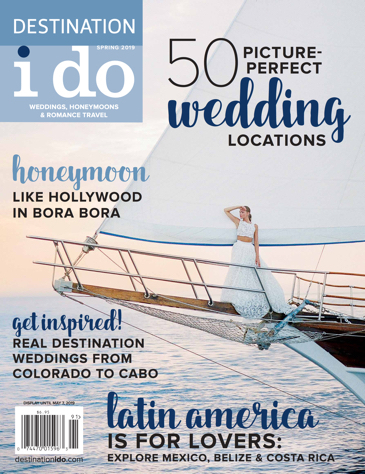 DestinationWeddings.com can keep the planning simple too, by doing it all for you. Photo by Ocean Photo Studio.